It's important to think about the size and weight of your digital camera because where you take it will help determine which camera to choose. 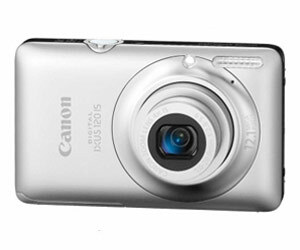 A family that is always on the go might choose an ultra-light, compact camera that fits in a pocket. Families with budding sports stars might need to compromise on portability for the control and interchangeable lenses of a digital SLR. Compact: Digital compact cameras are portable (some will fit in your pocket) and can be used as point-and-shoot, or with pre-set functions. Intermediate: Some digital compacts offer manual controls to go with the automatic settings. 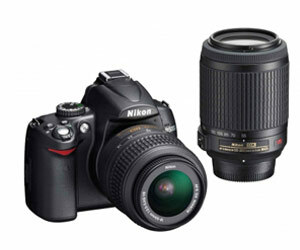 This means you can have some of the versatility of a DSLR, without the bulk and ability to change lenses. 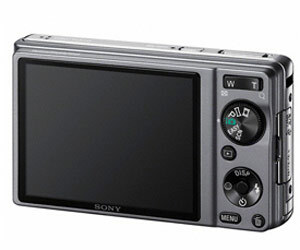 As a guide, a photo taken on a five megapixel camera can be enlarged to A3. The cameras in our range start from 10.1 megapixels, so your choice can also be based on other factors, such as optical zoom, size, or price. An LCD display will make your digital photography much easier when you're composing your photos. A touch screen menu makes scrolling through functions a breeze, too. Some digital compact cameras are built tougher than others. If your family likes to go camping, takes the boat out on weekends, or just likes to get active in the great outdoors, it's a good idea to look at shockproof or waterproof cameras. Image Stabiliser: An image stabiliser steadies the image (to eliminate blurring caused by camera shake) by compensating for camera movement, either within the lens or with a digital sensor in the camera. This is great when you're on a train or simply have unsteady hands as your photos could end up blurred, especially in low light, or if you've zoomed in a lot. Face Detection: Automatically focuses in on faces, even on a busy background. This means your smiling family will always be in focus. Some face detection systems allow you to focus on multiple faces, and some even let you focus on one particular face in a crowd. Timer Delay: A timer delay is great for when you want to be in the photo with your family, or for when you want to eliminate camera movement while using long exposure on a tripod. Simply select the time delay, set up the photo and press the shutter. The camera will automatically count down using the timer before taking the shot. Shooting Modes: Different automatic modes change the camera to pre-determined settings to achieve great results in different conditions. The pre-sets help you take great shots in different situations, like low light, action, and when taking portraits. White Balance: Cameras can often be tricked by artificial lighting, like fluorescent light. Adjustable white balance helps you achieve more natural colours in a range of pre-set light modes. Manual Functions: Some digital compacts offer manual adjustments of shutter speed, aperture and focus, for greater control over your photography. Continuous Shooting: Not to be confused with action mode which reduces shutter delay, continuous shooting mode allows you to keep your finger on the shutter to keep shooting frame after frame. This can be great when taking photos of your children playing.